Buhari approves new military battalion in Birnin-Gwari – Royal Times of Nigeria. 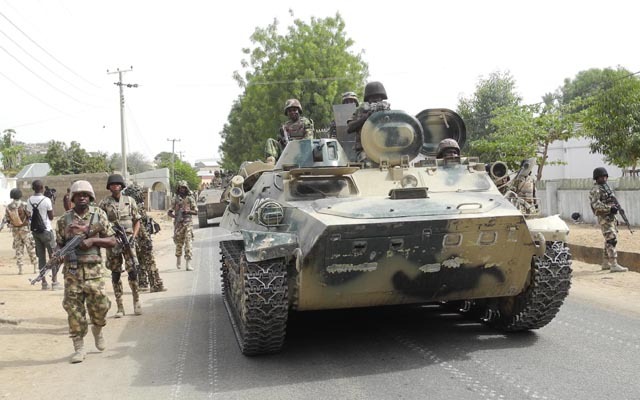 President Muhammadu Buhari has approved a permanent army battalion in the area following the brutal murder of 45 innocent Birnin-Gwari villagers by armed bandits on Saturday. It was gathered that armed persons on Saturday attacked residents of the Kaduna community. The bandits attacked Gwaska village in Birnin Gwari Local Government Area at about 2:30 p.m and the bandits were alleged to have come from neighbouring Dansadau village of Zamfara State, about 10 minutes’ drive to Birnin Gwari. In a statement issued by Samuel Aruwan, spokesperson to Governor Nasir El-Rufai, the government said it is concerned by the incessant banditry attacks and has been engaging with the federal government on the matter. The statement partly read, “The Kaduna State Government has received with sadness reports of the murder of our citizens by armed bandits in Birnin Gwari. The government has sent a message of condolence to the people of Birnin Gwari Emirate. “Kaduna State Government is deeply committed to overcoming the unfortunate criminality and banditry being carried out against innocent citizens in Birnin Gwari local government. “The engagements between the state and federal governments have yielded results. “President Muhammadu Buhari has approved the establishment of a permanent battalion of the Nigerian Army in the Birnin Gwari general area”. “The new security arrangements also involve policing. The Inspector General of Police has already announced the creation of the Birnin Gwari Police Area Command and two new Divisional Police Headquarters. “The State Emergency Management Agency, has also been directed to provide relief materials with immediate effect to the affected communities.”.